The body leading a Government-funded trial into truck platooning has acknowledged that addressing the different performances of vehicles from different operators will be essential to the future of the technique. Speaking at an industry event, Richard Cuerden, director of the TRL Academy, said that it was essential for platoons to be made up of trucks from different operators if the method is to be viable in future. However, asked by Transport Network whether this would require trucks in a platoon to have similar performance in terms of power to weight ratios and other factors, Mr Cuerden acknowledged that this was an issue the trial would have to address. He said: ‘Some of the challenges will be about the performance of the vehicles, both in acceleration terms and braking, and how the vehicles are loaded because you can have identical vehicles and load them differently. There’s an awful lot of knowledge that DAF, Ricardo and other partners bring in that light. 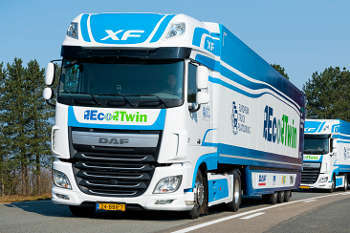 In August the Department for Transport (DfT) and Highways England commissioned transport research body TRL to lead an £8.1m operational trial of platooning vehicles on UK roads with partners including DAF Trucks and engineering and environmental consultancy Ricardo. Under the trial, vehicles will follow instructions transmitted by wi-fi from the lead vehicle in the platoon.